Weekends are for sweet, sweet sleep ins – alarms are not welcome here, but all day brunching certainly is. Whether your tastes lay in sweet or savoury, don’t get salty – get salivating over our Gold Coasts brunch faves! They’ve had to move to a bigger location due to all you instafreaks flooding the café, but Elk Espresso is back! Ready your utensils and dive into breakfast gnocchi with heirloom tomatoes, smoked bacon and poached eggs, or sweeten the deal with lamington chia pudding with raspberry sorbet. Nestled in beautiful Nobby’s, The Yard’s friendly staff, delicious coffee and rustic brunch options is the perfect way to spend any morning. Fuel up with Bagdad eggs, potato flat bread and hummus – or dare to be different with boozy duck liver pate bruschetta. Trust us – life changing. If your need for speed is as strong as your need for seriously good brunch – Espresso Moto is your boy. From quirky faves like pesto stuffed mushrooms with poached eggs and Thai black rice porridge with apricot and coconut yogurt, to classic bacon and egg rolls, this little rebel has left a tyre imprint on our hearts. Formerly Vintage Espresso, this old gal has had a face lift – and now she’s back better than ever! 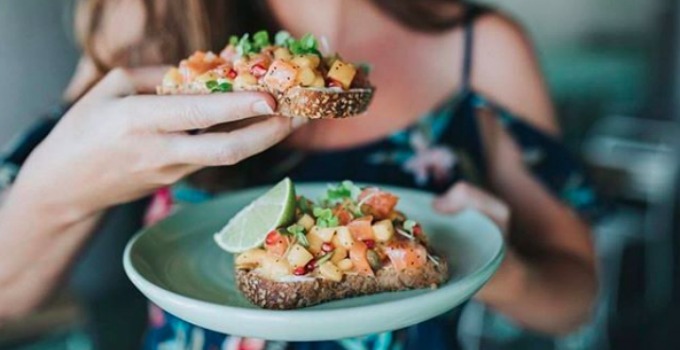 Dig in to herbed tofu and avocado toast with cherry tomato salsa, quinoa granola and grilled peach French toast – as well as homemade muffins, croissants and danishes. Drool. 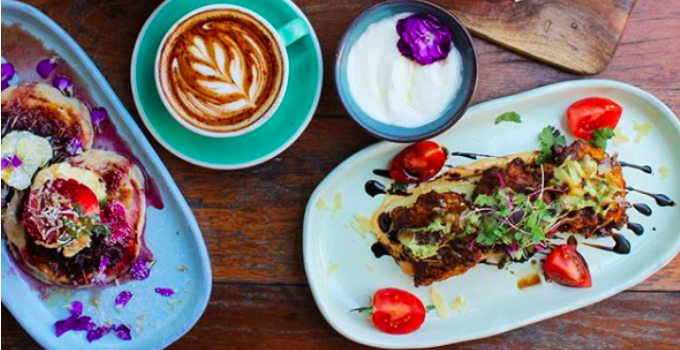 With views of Greenmount and Coollangatta, Café D’Bar is every bit as pretty as it is mouth-watering, a total foodies dream. Get your pincers on blue swimmer crab remoulard, fresh lemon and fennel and dill salad on thick toast or keep it light with vanilla bean and coconut breakfast panna cotta. Just don’t forget to order one of their famous loaded cherry choc milkshakes topped with vanilla ice cream and cherry ripe – calories don’t count at breakfast, right? Whether you’re zen AF tucking into a sautéed kale and quinoa green bowl, or hungover slumped over your breakfast burrito – no matter your state, House of Hubert has brunch ready. Wake up to shakshuka eggs with homemade beans, or keep it light with house made banana bread with cheesecake whip and berry compote. 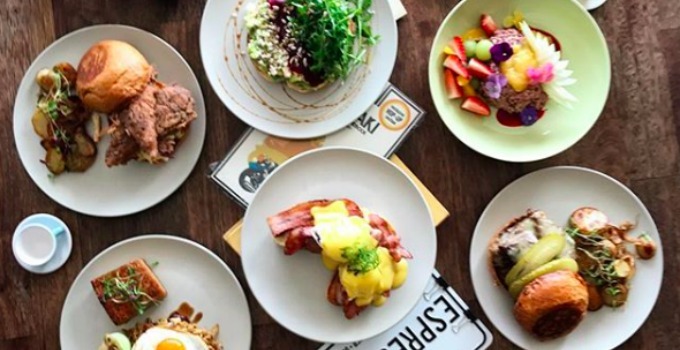 This recently renovated gem has all the makings of your new favourite brunch spot. Think freshly baked banana bread, cruffins and Nutella doughnuts to go with your perfectly poured latte or long black. Looking for something healthy and hearty? Get around the garden bowl with heritage carrots, baby radish, zucchini, kale and avocado or the truffled eggs (we can SMELL the luxury). Health food warriors and purveyors of some damn good brunch food – BSKT is your one stop wholefoods shop. Balancing health and heavenly flavours, breakfasts like the Navajo native breakfast with free range eggs, beans, avocado and salsa on native flat bread or the MVP buckwheat and banana pancakes will win over even the fussiest eater. Hit snooze and go back to sleep, brunch will be ready when you are. Words by Charlotte Tully and Emma Callaghan – the gourmands who aren’t afraid to fight you for the last table.